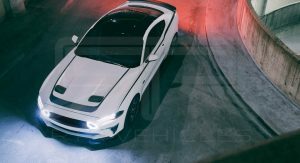 Ford and Vaughn Gittin Jr. have unveiled the 2018 Mustang RTR ahead of its debut at SEMA. 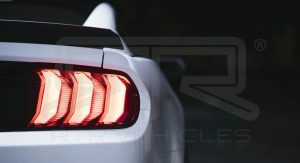 Set to become available at select Ford dealers shortly, the 2018 Mustang RTR features body stripes, LED daytime running lights, and an “RTR Design Package.” The model will also come equipped with forged alloy wheels and a dash plaque signed by Vaughn Gittin Jr.
Ford is keeping details under wraps but confirmed plans for Spec 1, Spec 2, and Spec 3 variants. 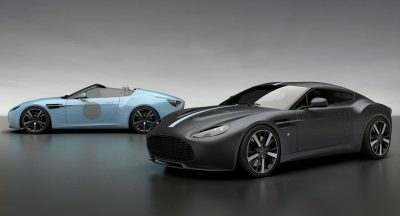 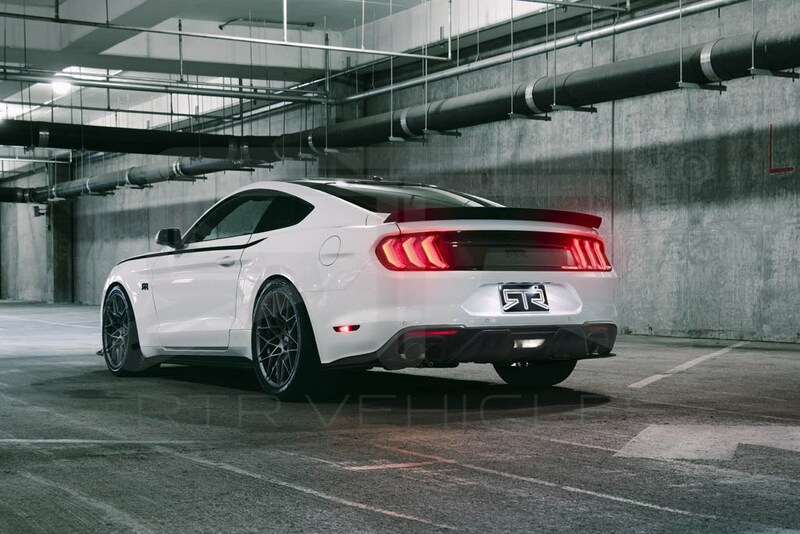 The latter model will have an upgraded 5.0-liter V8 engine that produces up to 700 hp (522 kW). 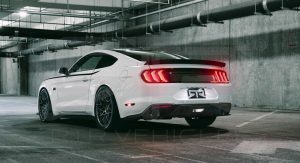 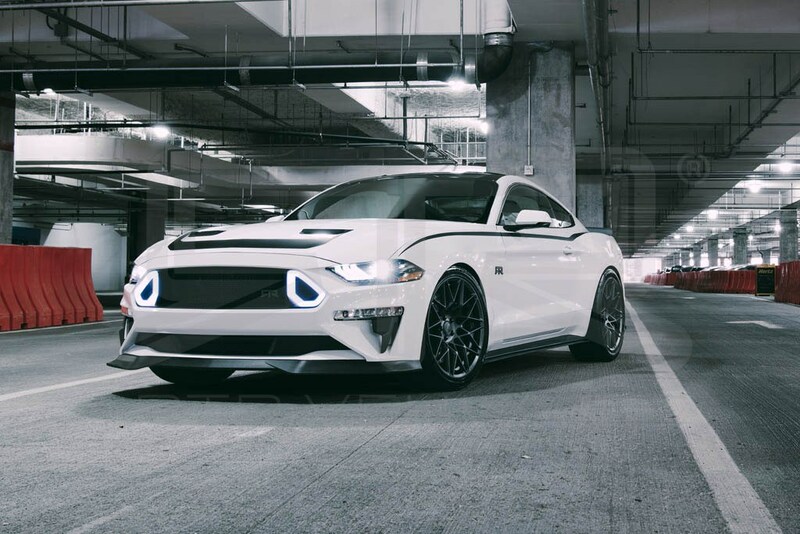 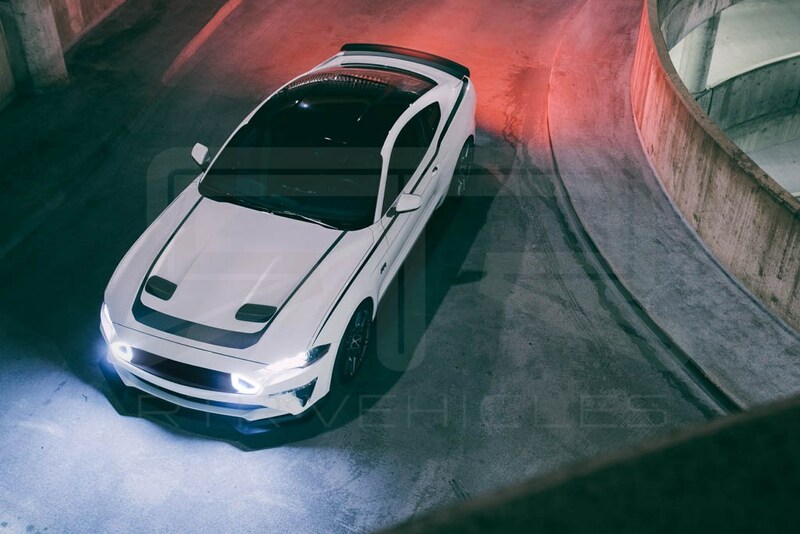 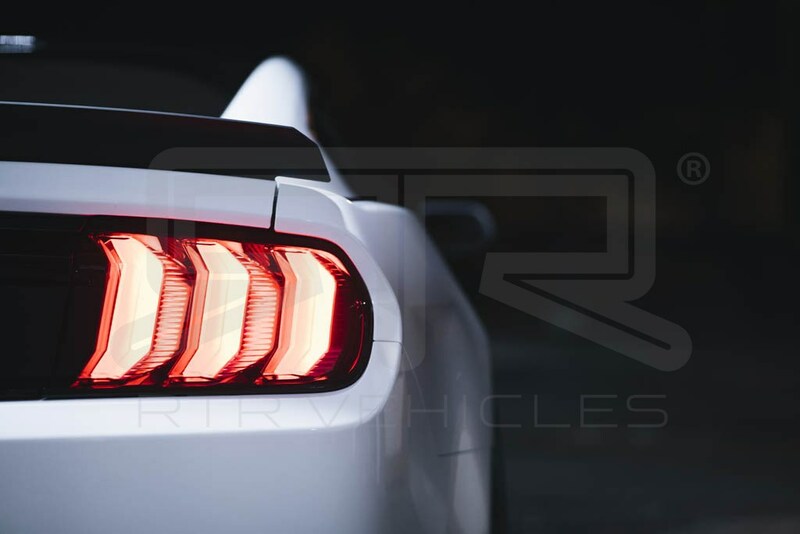 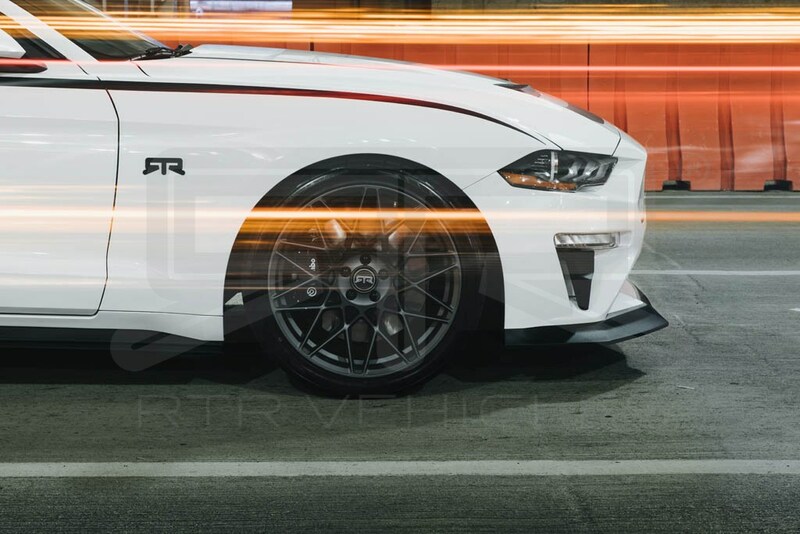 Additional information will be released soon but previous RTR Mustangs offered lowering springs, adjustable sway bars, and a sports exhaust system. 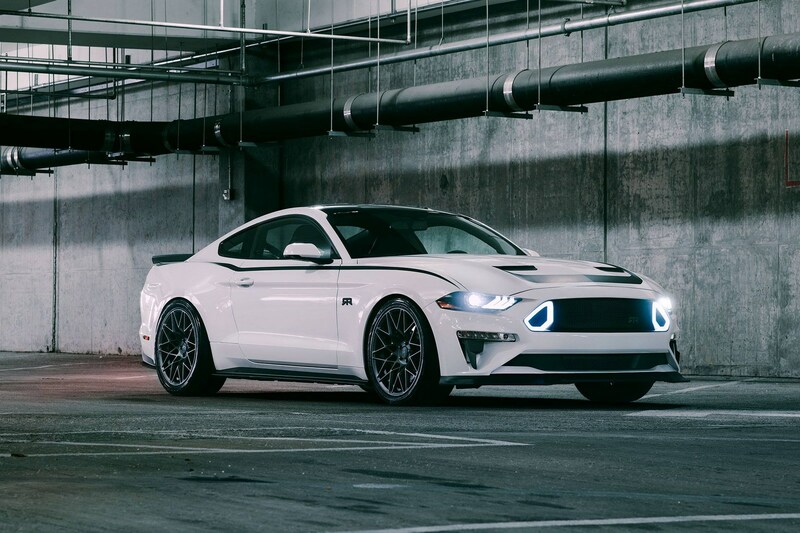 The range-topping Spec 3 also featured a Ford Performance supercharger, an intercooler, and an upgraded fuel injection system. 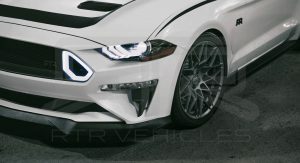 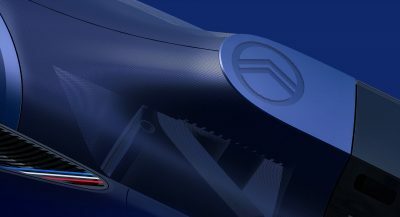 Is it the current car? 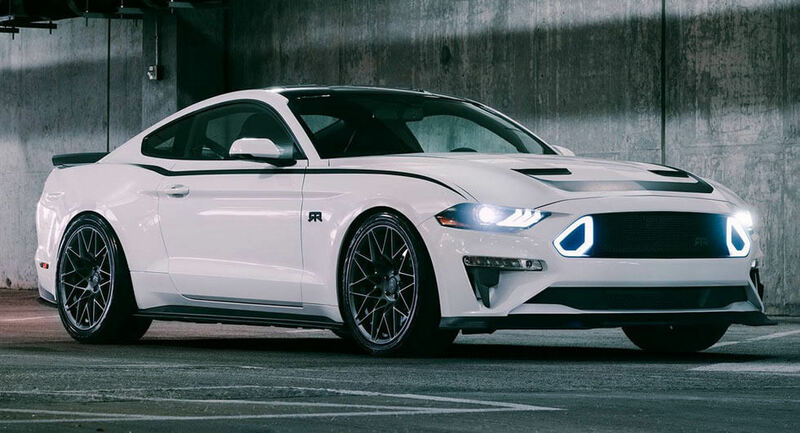 Are the 2018 models on the market yet? 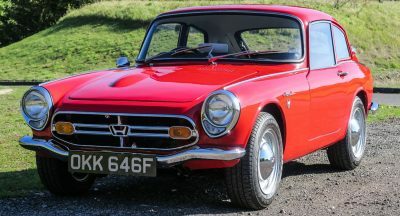 Yeah, it’s the face lifted model. 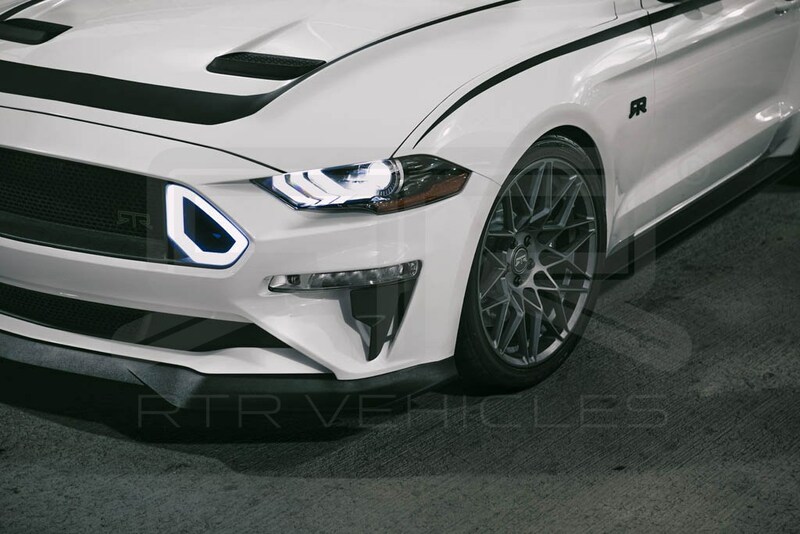 The front facia is kind of a dead giveaway. 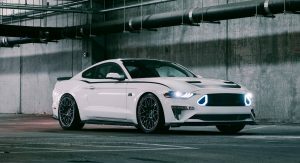 I probably didn’t word that correctly, I know it’s the facelifted model, as you mentioned,the front gives it away, what I actually meant was, is it classed as the current model if it’s not on sale yet? 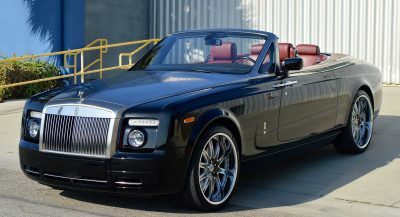 I wasn’t sure if it has hit the market yet. 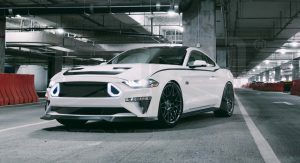 It might have hit the market by now, and if so, it would definitely be the current model or they called in a favor from Ford and got their hands on one early. 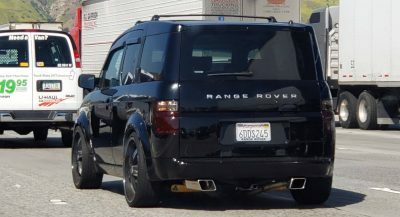 I feel like this is jumping the shark. 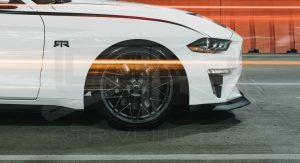 Judging by its power and visual size of the tyres, the RTR Mustang definitely needs the Cup2s from the performance pack 2. 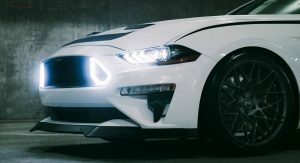 Aside from those hood graphics, this is properly badass! 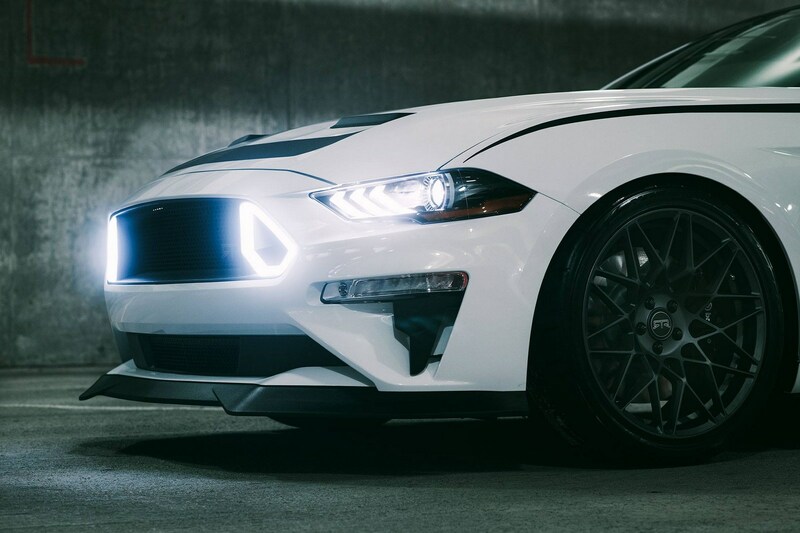 Something about the lighting in the grill is just so badass to me.